On behalf of the National Black MBA Association (NBMBAA), where their mission is to lead in the creation of educational opportunities and economic growth for Black professionals, they are delighted to inform you that they have selected Liberia and Ghana as their Second Annual Education and Trade Mission destination. The Education and Trade Mission trip to Liberia and Ghana will take place from February 16th – 25th, 2019. The NBMBAA has over 9,000 members, 300 partners, 1,000 job placements and $1 million in annual scholarships. Their members are seeking to connect with business, education and cultural exchange opportunities with the continent of Africa. All are welcome to attend this exciting Education and Trade Mission trip to Liberia and Ghana. Black America’s population has grown to 46 million people with over $1.3 trillion in buying power annually. According to sources, the investment power of African-Americans is therefore more than the combined GDPs of Saudi Arabia, UAE and Kuwait. Recognizing that Africa is a continent of 1.3 billion people and counting, NBMBAA is committed to making an impact, as well as a sustainable difference in the communities in which they work and serve. 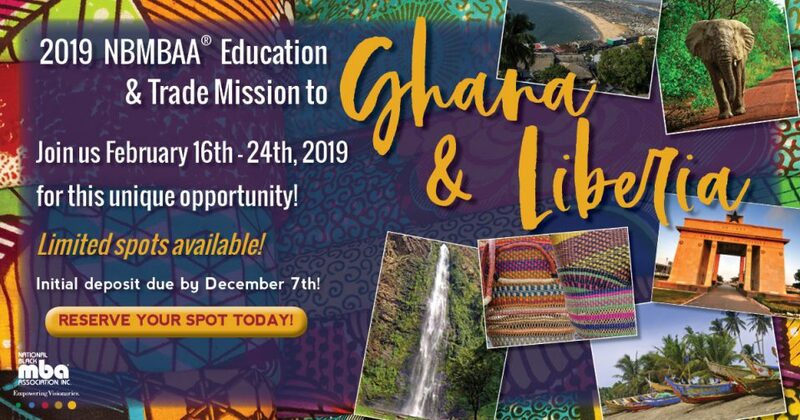 The NBMBAA believes mission experiences like the upcoming Education and Trade Mission trip to Liberia and Ghana, will give their members a once in lifetime experience to explore business, investment, education, tourism, service learning opportunities. 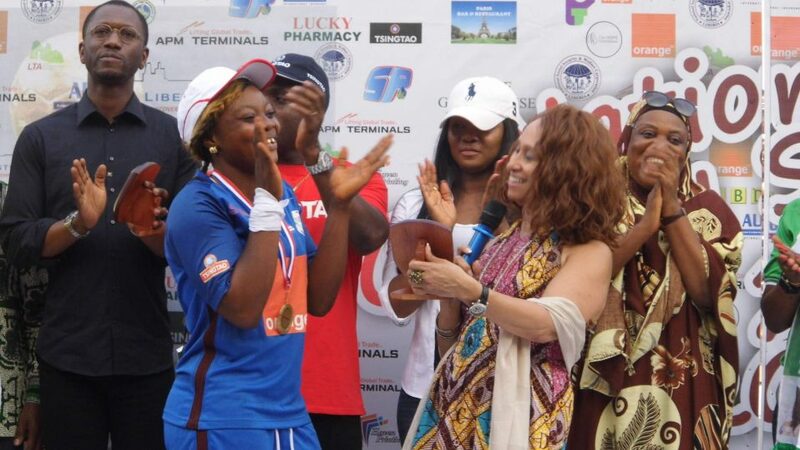 They will also get a chance to meet the warm and friendly people of Liberia and Ghana, as well as enjoy the food and culture of these countries. 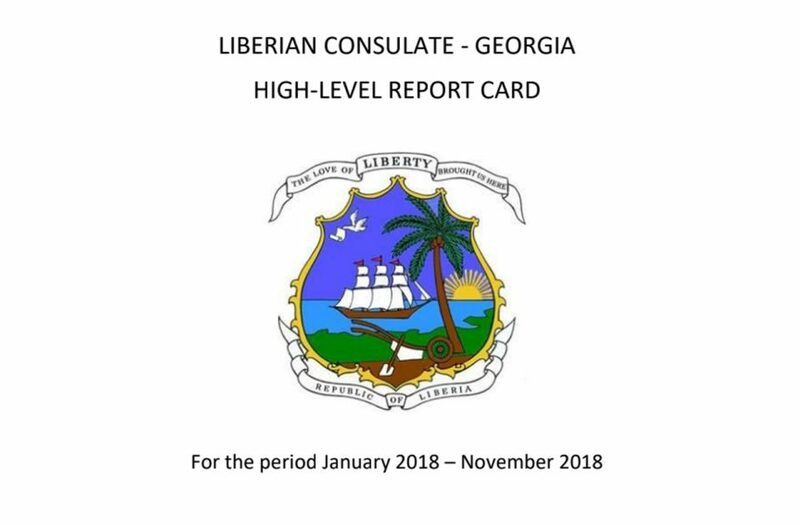 The official host for Liberia is the Honorable Cynthia Blandford, Honorary Consul General to the Republic of Liberia, State of Georgia and the official host for Ghana is Matilda Arhin, President of the Ghana International Chamber of Commerce.